Todolwen: Under The Weather Again .. I am sick with a bad cold once again since a few days now and I am mainly tired and unfortunately I am not in the mood to be creative very much because of it but I do create a little still. 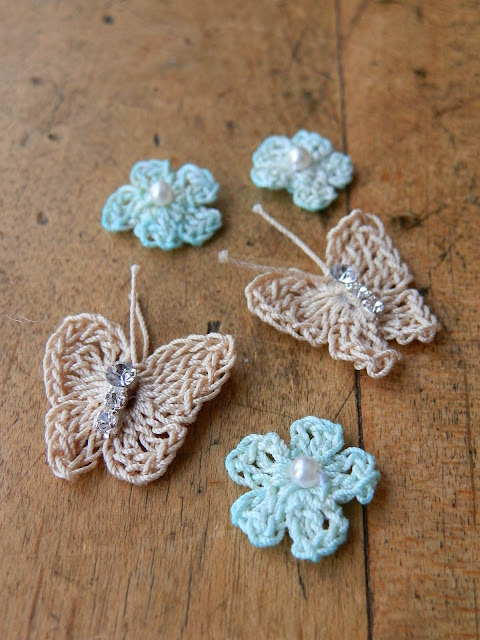 I had found a lovely pale blue crocheting yarn about a week ago which was perfect to create tiny forget~me~nots from using my little flower tutorial and that is what I have been doing apart from starting to work on a few more Heart~Felts too. I love this very pale blue! Hopefully I will be able to finish these soon. 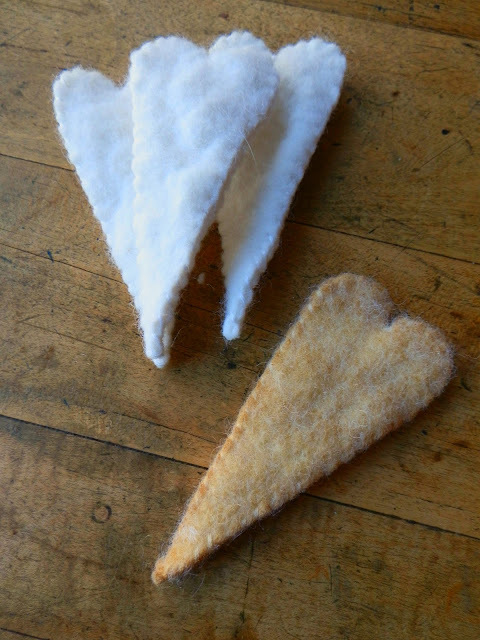 ... another little critter photo I would love to share with all of you lovely bloggers. I have hung a new bird feeder and since I had a few apples that weren't too fresh anymore I cut them up and placed them outside thinking of the little rabbit that comes at night. Instead a young squirrel took a taste to it and after he had his first few bites he seemed to have had enough and placed the leftover piece of apple in a fork of some branches of one of my flame bushes. I thought ... very neat and that was it. Well this morning I watched this little black squirrel climb through the trees and down the fence until he got to the point of coming down to the ground and what did he do next? ... he ran straight to the bush and without hesitating he went up to 'his' piece of apple, grabbed it and sat down on a rock in the warm sunshine and ate his apple up. It was just so neat! He really enjoyed his apple. ... don't forget to take part in my giveaway! Click on my giveaway button on the top right side of Todolwen and it will take to you to my post where if you wish you can leave a comment and have a chance to win my gifts on February 11th!! Sorry Karen that you are under the weather! I hope you be well soon. little Butterflies and flowers, but I’m just not good at it! I hope you are feeling well soon. I make a special cocktail that I take when I am feeling under the weather. Make a tea with the juice of half a lemon, 2 tbsp finally chopped fresh ginger, 2 tsps of honey and 1/4 tsp cayenne pepper in a cup of boiling water. It really does the trick. I take it almost every evening and almost never get a cold. If I do it passes quickly with this tea. Those little blue flowers are very cute and thanks for sharing the squirrelly fella. Smile Karen, don't let Old Man Winter get you down and feeling poorly. Not too much longer and it'll be Spring, then Summer! 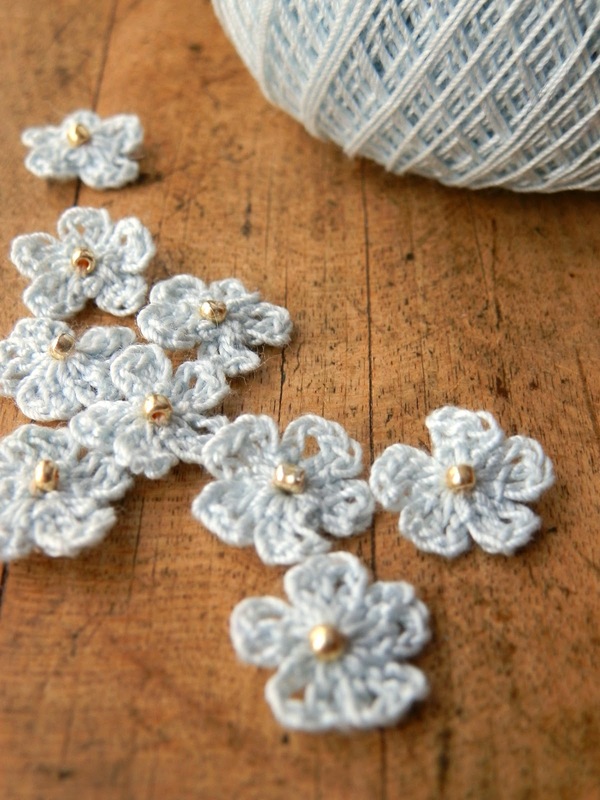 The delicate colour of your new palest blue crochet thread is just perfect for your little flowers. And your little critter story.....sweet. Everything is so soft and pretty (except Mr squirrel is just very cool) that I want to reach in and touch it! Hope the end of your week is a great one! I hope you feel better soon, Karen, I know how you feel. 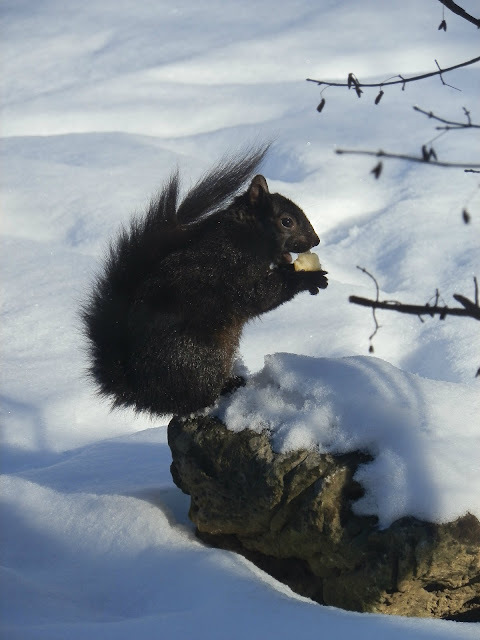 Loving the pictures and story of your little squirrel! How precious is that! That is a pretty blue for your flowers and your little friend is so cute with his apple. Hope you feel better soon. Lucky you, I wish I could crochet, dream of learning. What a cute squirrel. Hope you feel better! Sending get well wishes. Sorry to read that you're not feeling well again. Hope it's not for long. The blue flowers are so sweet, you make me wish I had learned to crochet when I was young. 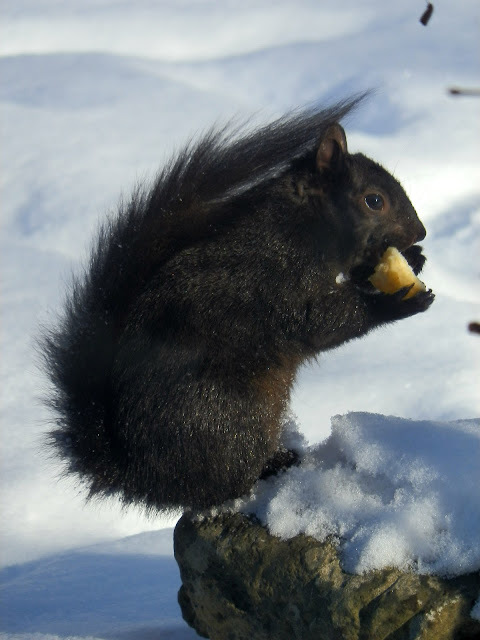 I love your little black squirrel..looks like he didn't even need a post-it-note to find his leftover stash of apple. How funny. Ick, yuck, hope you are feeling better very soon. I combine 1 tbl lemon juice, 1 tbl honey in 1/2 cup hot water, mix and drink. Sure makes me feel better, whether it really helps or not I don't know, but I do love honey and lemon. 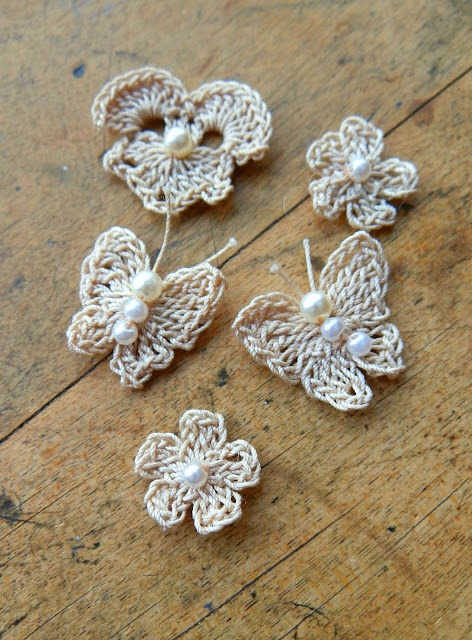 I made one of your pansy flowers yesterday, and love the magic loop. Your flowers are just so sweet and I like the new blue color too. Your instructions are great, between the written word and drawing I had no problems at all. Thank you so much for sharing.